Elizabeth Mihika’s name means “God’s promise.” We met her while touring the orphanage where we traveled to adopt our other daughter, Anna Dola. As we entered one of the rooms a caregiver said, “No one wants these babies.” And there was Mihika: bright eyes, little crooked legs, and a smile that left an imprint on our hearts forever. Two years later we returned to bring her home to our family. Her diagnoses were cerebral palsy, periventricular leukomalacia, cortical vision impairment, and astigmatism. Her cerebral palsy was so bad that, other than “W” sitting, she was unable to sit up. She would not eat or drink. We had to hold her in our lap, pry her mouth open, squirt in formula through a bottle, and close her mouth so she would swallow. She cried and screamed most of the day. At our wit’s end, we almost considered respite care, but we didn’t give up. The instant bond between our children kept us going. We thank God for the support we received from Dillon International. All hours of the day, they were there to help us get through this difficult time. We started Mihika on a muscle relaxer and quickly noticed a difference. Her pain decreased; she began to interact with us in a healthier way. After a few months, she began a preschool program for children with special needs. Mihika loved it! We all started to heal and attach. We were learning to love each other. Six months later, she awoke from an eye surgery and said “Momma” for the first time. My heart melted. Mihika started kindergarten in the Intensive Support Program in the fall of 2010. We were amazed at how well she was doing. We celebrated her first year in our family crazy in love with this precious child of God! In January 2011, Mihika had surgery to help her become more mobile, permanently reduce her spasticity, and improve her speech. Now, she walks with a walker and sits up by herself. She is no longer on muscle relaxers and shows no sign of pain! 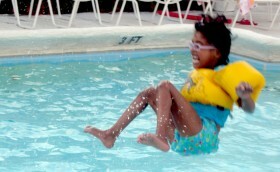 Today, Mihika’s a second-grader who loves swimming, music, coloring, books, and eating. She’s a social butterfly who loves giving compliments and hugs. 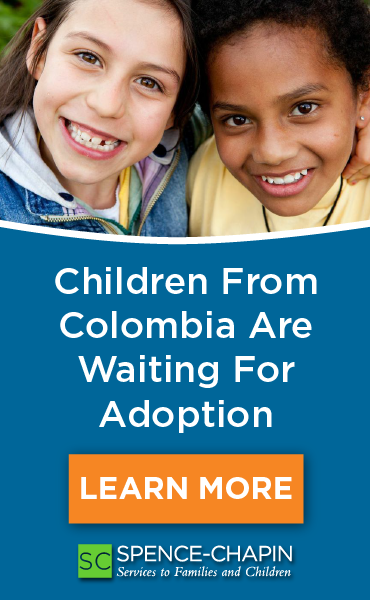 When we traveled for her adoption, the director of the children’s home told us that Mihika cried most of the time. Now, she is the exact opposite. It is rare to find Mihika without a smile on her face! We cannot imagine our family without Mihika. She has a special relationship with each of her siblings: Elijah, Anna Dola and Simon. We first set out to adopt after the loss of our daughter Ruthie. We didn’t plan to adopt an older child with special needs. Thank goodness God’s plans are bigger than ours!